Are you afraid that you won’t succeed in moving in your new home because you have to work with a tight budget? Yes, lack of money is serious problem but you shouldn’t worry too much because it has a simple decision. In this article you’ll discover which are the most important moving essentials that will let you manage with your relocation even if you don’t have much cash. Tight budget usually make people more ingenious. There are all sorts of ways to cut down your moving expenses but here we’ll discuss only the most effective ones. DIY is the first step to dealing successfully with the lack of money. You have to spend some time and make some efforts if you don’t want to waste a fortune on your move. Make sure you rely on a professional home removal company only for things that you can’t handle alone. For example, packing is not such a complicated task. If you have spare time, you can just roll up your sleeves and prepare stuff for transportation by yourself. Of course, there are some specific items like antiques that need some special care so it’s not a bad idea to let moving experts manage them. Another great way to make some cash and cut down your expenses is to sell useless items you don’t want in your new home. Any professional removal company will recommend you getting rid of all stuff that you don’t use if you want to reduce your costs. Is there any sense in wasting a fortune on transporting items that just gather dust? I don’t think so.. There are many more things that you could do to cut down your moving expenses and handle with your tight budget. Be creative and you’ll succeed in coping with this problem. Tenancy cleaning is probably one of the most annoying tasks for a tenant. That is why a lot of people prefer not to do it on their own, but to hire a professional cleaning company to do it for them. The thing is, that almost no tenant knows what should the tenancy cleaning service include. We have made a list with some of the most important points. Tenancy cleaning is one of the most popular cleaning service. They are often combined with professional carpet treatment and upholstery cleaning, as most people don’t know how to clean these pieces of furniture. They must deep clean all of the furniture in the rooms, including cupboards, shelves, upholstery, etc. They must also clean the floors and walls. If there are any stains they have to remove them. The window frames, door frames, windows, doors, fixtures, sockets and switches have to be cleaned, too. The cleaners have to deep clean all rooms, including the kitchen, bedrooms, living room, bathroom with all the fixtures and accessories in it, the toilet, shower, sinks, bathtubs, and the common areas of the property. At the end the whole property must be clean and shiny. The list above is not the same for all companies. There are such firms which offer more thorough tenancy cleaning, and such which don’t put so much effort. 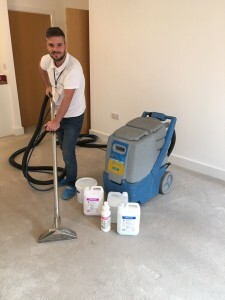 For example, some cleaning companies have included carpet cleaning in the tenancy cleaning service, and others don’t even include window cleaning. That is why one should be very careful when hiring such a company and always ask what is included in the service. We at TLC Carpet Cleaning always provide well-rounded services that really do the job!